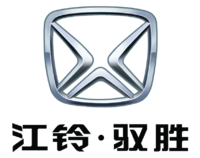 Jiangling Motors Corporation Limited (simplified Chinese: 江铃汽车公司; traditional Chinese: 江鈴汽車公司; pinyin: Jiānglíng Qìchē Gōngsī), abbreviated JMC, is a Chinese automobile manufacturer. The company has operated a commercial vehicle joint venture with Ford Motor Company since 1997. JMC also has a passenger car making joint venture with Changan, Jiangling Motor Holding, which sells vehicles under the Landwind marque. The history of Jiangling Motors Corporation., Ltd. can be traced to a truck repair shop opened in Nanchang in 1952 which operated under the name Nanchang Motors Repair Factory. In January 1993, the company entered into the Isuzu Joint Venture with Isuzu and Itochu. The joint venture acquired the non-exclusive right to produce the cab compartment and certain components of N-Series light truck and to assemble vehicles. The company was granted the approval of Jiangxi Province Economic Restructuring Commission to be reorganized to establish a joint stock limited company on February 20, 1993. JMC A shares and B shares got listed on Shenzhen Stock Exchange on December 1, 1993 and September 29, 1995, respectively. At the 2006 Paris Motor Show, Landwind returned to Europe and displayed an updated version of their sport utility vehicle, now called X-Pedition, as well a compact MPV called Fashion that would compete in the same size class with products such as the Kia Carens. In late 2010, Jiangling released the first JMC-brand passenger car, the Yusheng SUV. 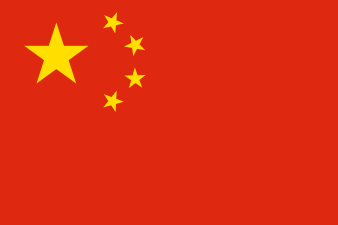 Production bases include a planned Ford plant in Nanchang, capital of Jiangxi province. In the near future cars might be produced at the NedCar plant in Born, Netherlands. ↑ "Profile of Jiangling Motor Holding Co.,Ltd(JMH)". Jiangling Motor Holding. Retrieved 6 January 2013. ↑ "JMC, a Ford Partner, Releases First Passenger Car–Yusheng SUV". ChinaAutoWeb.com. 2010-12-05. ↑ "Short Torque". China Daily. 2010-12-20. ↑ "Redding NedCar lijkt nabij" (in Dutch). Autovisie. 2011-04-09. Wikimedia Commons has media related to Jiangling vehicles.